The Cleveland Indians won't be wearing Chief Wahoo on their uniforms or hats after the 2018 season. This felt like an inevitable outcome for years and for whatever I felt about Bud Selig, from the day that Rob Manfred took over the commissioner's duties, one of the targets in the sights of Manfred was Wahoo and no matter how much the Indians tried to fight it off ( and I do believe that the team gamely tried to do so as long as possible), as long as Manfred was running MLB and that appears to be the case for a long time, this was going to happen sooner or later. It appears (no matter how much each side denies this) that MLB (and Manfred) finally was able to strongarm the Indians with the 2019 All-Star Game-as in this "we wouldn't want to have any reason to have to take that game somewhere else. Not that we would be doing it for any particular reason, mind you". Hopefully, the compromise can be the return of the 1970's "crooked" C, which brings the Indians name more to mind than the bland and seemingly overwhelmingly disliked on social media current "Block C". Here is where MLB smacks of hypocrisy, (I blame MLB because I truly believe that the team was forced to do this and did not want to make this move), the team and MLB will still sell Chief Wahoo hats and shirts,so if you prefer Wahoo, you can still wear his items, its just that the Indians won't be after 2018. The argument from baseball is that they have to sell items or the trademark on Wahoo will expire and others can claim and "use it in ways that MLB won't be able to control". It wouldn't have anything to do with being able to continue to rake in dollars from the more popular logo while being able to look politically correct and appearing to take the moral high road, now, could it?? As for me, personally, I have mixed feelings. 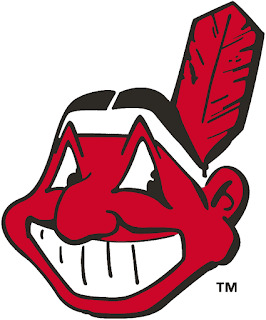 I always liked Chief Wahoo and considered him the face of the franchise, which might be why so many people were bothered by him now that I think about it, and my generation's Wahoo isn't nearly as bad as the original Wahoo, which even I have to admit is pretty offensive to almost anyone that even has a hint of an open mind. Wahoo was a part of my childhood and on that summer day in 1979 when my dad pulled up to Cleveland Municipal Stadium and saw the huge Chief Wahoo sign on top of the Stadium leaning on his back foot, getting ready to pull a fastball into Lake Erie, it was one of the great thrills of my childhood. Wahoo has also meant Cleveland baseball in other ways. When I was a kid and only was able to see the Tribe when I visited Ashland for games on WUAB (Lorain Cleveland of course) along with their games against the Orioles back in the days when the televised games meant the Orioles TV games were only the road games, I have two Wahoo memories. One was from the local TV guide, when the Orioles were on the road and the TV guide would have an ad for that night game it would have the Oriole bird fighting in some manner in a cartoon against that night's opponent and I remember quite a few times seeing Wahoo leaping off the point of the Oriole bird's bat in the TV guide! The other was from those summer trips to Banning Avenue in Ashland for those few cherished Tribe game with my grandfather. 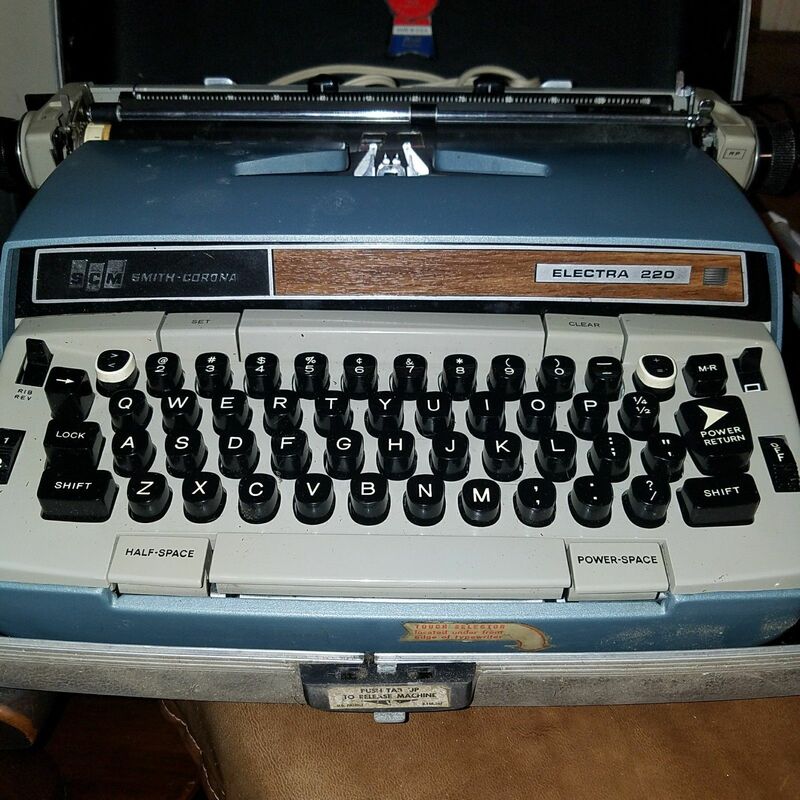 I didn't always get lucky because we had to come out on a weekend when the Indians were on the road in order for those games to be on television in those days before regional sports network days that televised all the home games. There were the WUAB commercials with the catchy "Indian Fever" jingle that the Indians would take over for themselves down the road with a few changes and the intro as well with the always present smiling Wahoo with those Indians teams that were a .500 team that finished in 6th in the brutal A.L. East in a good year and dead last with close to 100 losses in a bad one. However, there was always Wahoo in good times or bad, whether he's on the cap and jersey or not, those memories don't go away. I wish he would stay, but I understand the wave against him. The first semi-final in the cruiserweight division of the World Boxing Super Series in Riga, Latvia looked to be an interesting matchup as two titles would be unified, but some thought it might be more of a world-class battle of chess. 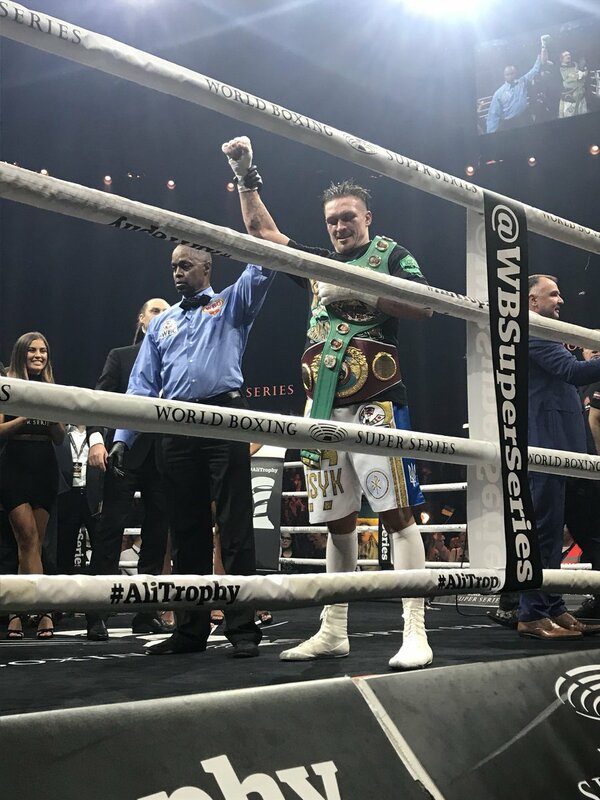 The pleasant surprise saw the early leader for fight of the year (hey, it's January) as WBO champ and top seed Oleksandr Uskyk took the WBC title away from home country hero and third seed by as hard fought of a majority decision as you'll see and advance to the finals. A great fight with ebbs and flows that I scored even at 114, but it "felt" like Usyk edged it out by a hair, yet when you added it all up, I had it even. It's one of those fights that is screaming for a second viewing (and scoring). 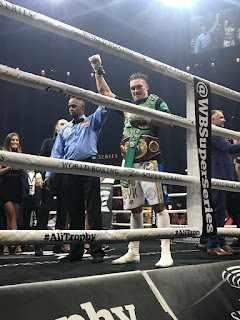 Usyk will face the winner of next week's fight between IBF champion Murat Gassiev and minor beltholder Yunier Dorticos in what is sure to be an exciting fight from Russia. The problem is seeing these fights because American television isn't picking them up, the streams are struggling to work and it's tough to find them. It's too bad because once you do-it's really high-level stuff with the cruiserweights (the super middleweights haven't been as strong thus far). What makes the lack of ease finding the WBSS even frustrating is when you have such issues and then HBO, the network that has been the Cadillac of boxing television for so many years, puts on a card like they did Saturday night from the Forum in Inglewood California. I know HBO has hitched its wagon mainly to Golden Boy Promotions (along with a few other "independents"), but this looked like a card better suited to their ESPN deal (where it would have been a nice "free "show) and not worthy of an HBO slot. In the main event and in one of the dullest non-Erislandy Lara or Guillermo Rigonedeaux main events that you'll see, Lucas "The Machine" Matthysse continued his comeback with a knockout of unknown Tewa Kiram in the eighth round after seven rounds that had the live crowd booing and the Twitter followers disgusted with the dreadful fight. I've always been a Matthysse fan, but he looks like a fighter that unless you match him against someone that stands directly in front of him and engages, he might be a shot fighter. Matthysse picked up one of those WBA minor belts that we don't recognize, which means he could eventually be forced upon Keith Thurman, but I wouldn't hold my breath waiting for that to happen,but he mentioned a Danny Garcia rematch (Garcia won their first match against a prime Matthysee off his jab, I fail to see why rematching a faded version changes anything) or a Manny Pacquiao pipedream, which might be a more fun fight to watch but considering Matthysse's still potent power is high risk low reward for Manny. As for Kiram, the less said the better and I really don't need to see him again period, let alone on HBO. In the co-feature, challenger Mercito Gesta tried hard and lasted the distance with WBA lightweight champion Jorge Linares, but other than winning a few early rounds was clearly outclassed by one of the two best lightweights in the world. The problem for Linares is that the other best lightweight in the world, WBC champ Mikey Garcia talks a lot about fighting him, but doesn't seem actually interested in signing a contract to make the fight happen. I thought Linares was two cuts above Gesta, who wasn't deserving of a title shot and that's about how it turned out as I scored it a perhaps overly generous (for Gesta) 117-111 win for Linares. It's just hard for me to believe HBO turned down rights to great stuff like Usyk (who they have televised in the past)- Breidis and next week's likely barnburner between Gassiev and Dorticos to buy fights like these and then have the head of their boxing department (Peter Nelson) actually try with a straight face before the card to portray these as "50/50 fights". In the boxing challenge-Ramon Malpica earned six points for the weekend to my four to move ahead in the overall standings at 8-7. Ramon earned three points from Lucas Matthysee's win and KO (Bonus point for round), two from Jorge Linares and one from Oleksandr Usyk. I received two from Matthysee and one each from Linares and Usyk. The boxing challenge rolls on with a three-fight weekend with two of those on HBO, but the biggest of the three doesn't have an American home as of this writing. The World Boxing Super Series returns from Latvia with the first of their two semi-finals in their Cruiserweight tournament as the WBC and WBO titles will be unified as WBC champion and hometown hero Mairis Briedis faces the top seed in the tournament WBO kingpin Oleksandr Usyk. Usyk in being the top seed does show some flaws in the tournament as he not only faces the third seed (he should face the 4th), the top seed goes on the road for the second time in the tournament (he defeated Marco Huck in Germany in the first round). So much for the advantages of the top seed of the tournament and if this is how things are going to done, seeding doesn't seem to have any use for future tournaments. Briedis isn't the most exciting fighter, but I think he steps his game up against Usyk out of necessity and this is a more action-packed fight than some think. Check the WBSS website or their Twitter page for last minute television information. HBO Boxing televises their debut card with a less than thrilling card from Los Angeles. Lucas Matthysse returns for a minor title against unknown Tewa Kiram, who has fought no one and I've never seen, so who really knows what he brings. I've read some reports that give Kiram a chance against Matthysse, who has been vulnerable in the past against fighters that are durable enough to take his booming punch, but who really knows with an unknown commodity. Jorge Linares returns off his tight split decision win over Luke Campbell to defend his WBA lightweight title against Mercito Gesta in what is one step above a squash match. Gesta was thought to be a prospect at one time, but in his only loss (and the only time that he stepped up against world class opponents) to the slick boxing and dreadfully dull Miguel Vazquez, Gesta was badly outclassed and Linares is a full class ahead of Vazquez. WBC-WBO Cruiserweight Title Unification/World Boxing Super Series Semi-Final. 12 Rds. 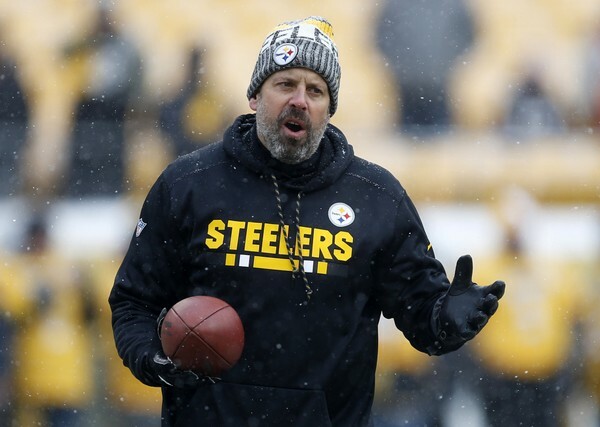 The Cleveland Browns must have been serious about wanting to upgrade the offensive playcalling as the Browns didn't delay in hiring the recently fired Todd Haley from the Pittsburgh Steelers as their new offensive coordinator. Haley's creative play calling has always been one of the problems (well, along with the talented offensive players that the Steelers possess) in stopping the high powered Pittsburgh offense since Haley took over after being the head coach in Kansas City (where he took the Chiefs to the playoffs once in four years) and production for the Steelers was not the issue in Haley leaving the Steel City. The problem has always been a less than smooth relationship with Ben Rothlisberger and in a time when the Steelers are in some turmoil in the locker room and trying to keep Rothlisberger to continue to play and not retire, it was Haley, who was the dispensible product compared to the star quarterback and the head coach Mike Tomlin. In any event, Haley brings the most proven offensive mind to Cleveland since the return of the team in 1999 (Bruce Arians and Kyle Shanahan's best OC work would come after leaving Cleveland and Norv Turner's track record might have might been mildly better than Haley's, but his best days were well past) and should give whatever quarterback takes the snaps next season and the skill players the Browns will have for that player to use a coordinator of quality to work with. Haley will have to develop a quarterback and that's something that he didn't have to do in years in Arizona (offensive coordinator), Kansas City (head coach) and Pittsburgh (offensive coordinator), so that will be interesting to follow, but I love the hiring of Todd Haley and I think a motivated Haley should bring plenty to Cleveland. The bigger question for me is not with Todd Haley, it is with Jimmy Haslam and the Browns. Jimmy Haslam was quoted in Pittsburgh as saying that Hue Jackson hadn't lost his "Magic at calling plays", so that brings this to mind- If Jackson was such a play calling wizard and that Haslam believed in his skills so highly, why did the Browns hire Haley to call plays? And if the Browns needed Haley after two years of Hue Jackson's play calling that led to 1-31, why is Jackson still here? There is so much that I like thus far about the Browns front office hires, but I still question Jimmy Haslam keeping Hue Jackson. Giants sign Austin Jackson, Indians lose Austin Jackson. The San Francisco Giants still needed a centerfielder after the Andrew McCutchen trade and the team at least partially did so with the signing of veteran Austin Jackson to a two-year contract worth six million dollars. The contract can rise to as high as 8.5 million with various performances bonuses and contract escalators and with or without the bonus clauses, is reasonable enough to add a veteran outfielder and still keep the Giants under the luxury tax hit. 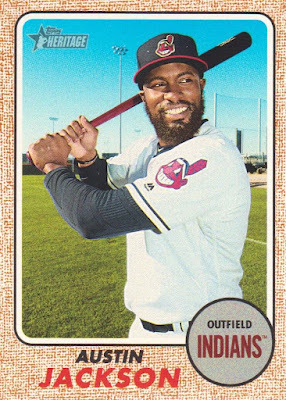 The 31-year-old Jackson hit well last season for the Indians (.318/7/35) but struggled to stay healthy as he has had in the past and played in just 85 games. I was hoping the Indians would be able to re-sign him, but part of what (up until now at least) has been the lost Indians offseason has been players that played well being allowed to leave Cleveland even when it seemed as the cost of keeping them (with the exception of Carlos Santana) would not be oppressive. Jackson would have been a helpful role player for the Indians, but I'm still furious about the decision to keep the brittle Michael Brantley over the sturdy Jay Bruce over a million dollar difference (OK, the contract that the Mets gave Bruce was over three years, while the Tribe simply accepted an option on Brantley). Jackson wouldn't have cured what is a worrisome outfield situation for me that seems to rely upon the hopes of Bradley Zimmer being the real deal as a prospect ( I hope, but no prospect is a sure thing), Lonnie Chisenhall (I've never been as big of a fan of his as others are) to put up his half season 2017 numbers over an entire 2018 campaign and as mentioned above Brantley to stay healthy and just approach past performance, but he would have added a veteran bat to the depth chart and gave the Indians a little bit of wiggle room. As for the Giants, I think the Giants are setting the righthanded-hitting Jackson up to share time in center and do not plan on handing him the full-time job there. I think that they would love for it to be rookie lefty batter Steven Duggar that splits the job with Jackson because they really like Duggar, he'll be cost-conscious (rookie minimum) and he is very strong with the glove. The question that Duggar brings to spring training is basically this- will he hit enough to be able to carry him right away and will the spring tell the Giants enough to know? After all- Duggar has a grand total of 59 at-bats above AA ( 54 with AAA Sacramento and 5 with the Giants), so they will need to feel good about that answer either now or later before making the decision to go with Duggar, keep the glove first Gorkys Hernandez (they'd rather not since he's a righthanded hitter like Jackson), mine the dollar store free agent outfielder bin, perhaps sign a 4A type outfielder coming into April or make a trade soon, but no matter the decision, one thing is certain-whatever the decision, it will be someone that bats lefthanded. Andrew McCutchen wasn't just a good player for the Pirates, he was an ambassador for the team in a city that was looking for a representative. The Steelers had theirs in the Rooneys, Mike Tomlin, Ben Rothlisberger etc and the Penguins had Sidney Crosby, Evgeni Malkin, and their stars, but where was the face of the Pirates? For the most part, it was either the deceased Roberto Clemente, Manny Sanguillen sitting out in right field, Steve Blass telling stories in the booth or the beautiful ballpark. Years of bad baseball had led to even average players with career seasons being pushed as Pirate stars and the awful track record with drafting and trades by general managers Cam Bonifay and Dave Littlefield had left the organization and minor league system filled with less than sterling talent. Most years in the draft even when the Pirates picked in the top five (remember Bryan Bullington and Daniel Moskos?) the Pirates found a way to draft a low ceiling college player that wouldn't cost as much as a more talented player at the same draft position. Only once, did Dave Littlefield break with this philosophy with McCutchen in 2005's in tabbing Cutch as a high school prospect out of Florida. When you look at the 2005 draft, I can see that knowing how Littlefield liked to draft, he had to feel like he was taking a real risk on McCutchen as the only college position player that panned out following the Pirates pick at 11 (Which for the Pirates at the time was a pretty low pick) was Jacoby Ellsbury at 23 to Boston. The high school choices were not plentiful either as only Jay Bruce, who the Reds took out of a Texas high school with the next pick had anything more than an average big league career, so give Littlefield credit for arguably the only great thing that he managed to do in his entire Pirate career. Pirates fans could tell from the day he was drafted that McCutchen was different than the usual Littlefield pick and were excited to hear about him as he moved through the minor system. That's how Cutch became one of the TRS favorites. Cutch was drafted in 2005 right around the first full year that I started going to minor league games all the times and autographing, so I was excited to hear about this Pirate prospect that was going to be appearing in Hagerstown soon. In 2006, my nephew Jeff was a Sun's batboy and he worked for the visiting team, so he talked to Cutch throughout the series and I have a few pictures of Jeff getting Cutch to sign a ball after a game for me. Seems so long ago and I guess 12 years can be both long and short, but Cutch was a good signer and a nice guy even then, a bit quiet, but nice. The picture above is a picture that Ryan took with a camera of the day (take note of the time stamp) during one day of the series and we had an 8 x 10 made the next morning to have Andrew sign that night. That process alone shows the difference in twelve years!! McCutchen skipped the then Pirates High A affiliate in Lynchburg (missing Frederick, the easiest place to graph on the circuit then) and would spend his 20-year-old season with AA Altoona, which is an awful challenging assignment for a high schooler. Andrew was solid enough,but unspectacular (.258/10/48 in 118 games), but considering his age, a fair season and in two years, he was in Pittsburgh for good at 22. Andrew McCutchen was the player that helped Pirate fans fall back in love with a franchise that had decayed away with a management that seemed not to care. I compare those Pirates in some ways to the Browns (although the Browns have a much larger and more rabid base of supporters) in that there are/were people that still care, but were/are just so beaten down by losing, dumb moves, cheapness etc that they've become numb to it all. Cutch was the start of those people and he was the start of me getting into this crazy hobby and fun business of caring and learning more about minor league prospects. Andrew McCutchen also backed up on the field and for a small market team, he was what they so often need-a bankable superstar that gives that teams fans someone exciting to watch win or lose to go and see live or on television. Now, he's gone and he would have likely been gone after the season anyway, but what the Pirates have said is that money is a little more important than winning. What are the chances the Pirates make a big run this season with McCutchen and Gerrit Cole? Less than average when you consider that their division is a strong one, but you could make a case that with a signing or two to a one or two year deal, that a playoff contending team wouldn't be out of the question. Instead, the Pirates moved those players and didn't get one blue-chip prospect in return-not one. Yes, I like Joe Musgrove and Kyle Crick could be a future closer, but none are top of the line, blue chippers and the Pirates chose to punt the season rather than even try. What does these types of decisions always bring to my mind? An obscure 80's teen movie called Three O'Clock High. The premise is that this huge street fighter (Buddy Revell) is going to fight this average guy (Jerry Something) at three o'clock and the film follows the school day leading up to the fight with the hi-jinks that entail of how the fight is tried to be avoided etc before they fight. I've been not as productive as I would have liked to have been as I've noted to start the new year, but I have some things coming both in the news and some features to write about so I can feel the wheels starting to turn. In the near future, I have the final piece on Andrew McCutchen coming (that actually has been already started), the Browns making what looks to be another smart hire in Todd Haley to become the offensive coordinator and likely replace Hue Jackson as the play caller in Cleveland and the Giants signing former Indian Austin Jackson to patrol triples alley in AT&T Park, so there will be plenty to write about over the next few days. On occasion (and once in a while I've written in the past along these lines), I wonder about things here. I have never done a lot of the things that really promoted the blog (and the old podcast) well, I'm not a strong self-promoter and I've never even had advertising here through the years, despite the occasional offers because I just like having the freedom to do and say what I want. It bothers me to this day that I lost a friendship over something I said on Twitter about Donald Trump that made my friend and sponsor of the podcast upset and that has just entrenched me even more that unless someone wants to pay me enough (yeah, right) to make this my livelihood (yeah, right) then I really don't want to be in a position to have to please any sponsor, advertiser etc. And that leads to Fightheads and what I do every Monday night with Ramon Malpica. As a boxing fan dating back to childhood, boxing has evolved from something that I shared with many to something that was a solitary passion until this crazy thing called the internet and more importantly Twitter. That's where I met Ramon, who is strong in every area that I am weak- he is a great promoter and loves to push the name, show and all that comes with it out there and that leads in a long winded way to why I wrote about this instead of the news this morning. Someone that you don't know sends you a note saying that they like the show. It is the type of thing that many hear all the time, but when people that I don't know tell me that they enjoy what I do-It makes my day. Not everyone has to agree with me on anything or everything, but on those occasions when someone takes the time to say they liked something I wrote here or something I talked about on Fightheads, It makes me feel good, because they took their time to read/listen to my work and then liked it enough to then let me know. Back later tonight with more!! Boxing Challenge: Spence Stops Peterson! 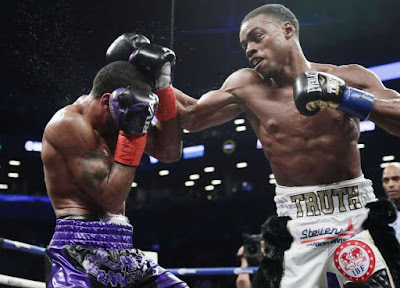 The 2018 Boxing Challenge raced out of the starting blocks with arguably the next big star in boxing as Errol Spence retained his IBF welterweight title when Lamont Peterson's corner refused to allow their gallant warrior to answer the bell for the start of the eighth round. Spence won every round, knocked Peterson down in the fifth round, walked through some decent right hands from Peterson and generally made a solid top ten welterweight look like he was one step away from retirement. 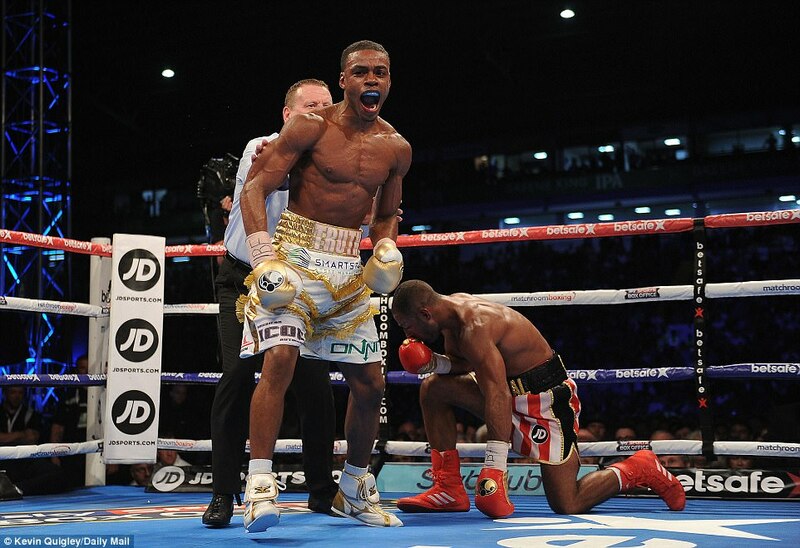 It was exactly the type of performance Spence needed to deliver and he came through with flying colors. I also enjoyed the post-fight interview where Spence called out the usually reluctant Keith Thurman as "Some Time". Spence tweeted this morning as having a next fight date set already, so perhaps Spence is beginning to set the tone for his career by actually demand that PBC make fights for him, which would be a good thing for Spence and for boxing fans who would love to see more of him in the ring. In the co-feature, Robert Easter defeated Javier Fortuna via split decision in a fight that likely saw Easter lose a little luster. The much shorter Fortuna moving up in weight ( having won minor titles at 126 and 130 ) pressed the action, forced Easter to be unable to use his reach and not be able to box from the outside. The referee took a point away from Fortuna in the second round (which seemed very early to be taking points away to me) for holding and hitting and that decision cost Fortuna a draw on the judge's card. Fortuna swept the final four rounds on my card and I had him winning 115-112, but it was hard for me to summon too much sympathy for a guy that has lost a title on the scales in the past (at a weight NINE pounds lower), so I won't be crying too much for Fortuna. In the challenge. I added three points (2 for Spence,1 for Easter) to Ramon Malpica's two (1 for each win) to start the 2018 challenge. Tune in tomorrow night for Fightheads for Ramon and me's thoughts on Errol Spence, Robert Easter, and this weekend's three fights . The PPM hits the Conference Championships. The 2018 Boxing Challenge begins with a two-fight card on Showtime and one of the coming stars in the sport defending his title for the first time. The boxing challenge with Ramon Malpica will enter its fifth year and it doesn't seem that Ramon and I have been friends that long! Ramon won the challenge in the first year and I have won the last three, so I'm hoping to add another imaginary trophy to the imaginary mantle! In Brooklyn, IBF welterweight champ Errol Spence is one of the hottest names in the game and talent wise, he is certainly deserving of that status, especially off his impressive title-winning effort over Kell Brook in England. Spence's biggest problem is typical of most of the fighters that fight for PBC- they just don't fight enough and often times they don't fight really good opposition when they do. 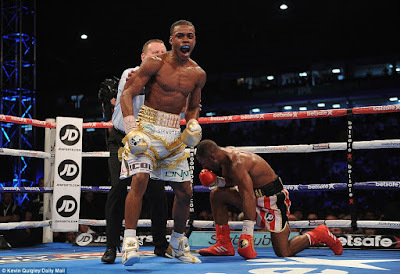 Spence may have taken way too much off after his win over Brook (eight months), but at least his return is not against a light touch as he'll be taking on former junior welterweight champion Lamont Peterson, who has given every top opponent (except a three-round KO loss to Lucas Matthysse) all they could handle, whether Peterson won (Amir Khan) close or lost (Danny Garcia) close or anything in between (Tim Bradley) and should be at least an interesting test for young Spence. On paper, this looks like this is going to be a good one and style wise, it looks like it could be a fun fight. However, I have a feeling, this is going to be the true coming out party for Spence-too big, too strong and too fast for the solid but not special Peterson, who is going to find himself overwhelmed by a very special fighter. The co-feature has IBF lightweight champion Robert Easter in a non-title bout against Javier Fortuna. Because Fortuna, a former minor title holder at 126 and 130 pounds, couldn't find it within himself to make the lightweight limit of 135 pounds and was ineligible to win the title from Easter. Fortuna will give Easter a percentage of his purse and Easter cannot lose his title even if he loses the fight so the fight will go on, but since Fortuna has done this before (he lost his minor WBA featherweight title on the scales), I don't need to see him on any type of cards of major magnitude in the future. I'm tired of giving these guys rewards for not doing their jobs to make the weight. Part two of our series on the Andrew McCutchen trade takes a perusal at how the swap affects the San Francisco Giants and what they expect to receive from the outfielder from the (expected) one year that he spends in the Bay Area. The Giants are a veteran team that was expected to contend last season and instead responded with the worst record in the National League, but considering their situation with veteran contracts and a less than strong farm system, the Giants are going all in for a two (perhaps three ) year push before these players are all past their prime and the revamp will be a mandatory one, whether the Orange and Black likes it or not. San Francisco hopes to use these few years to continue to contend, draw fans and be able to rebuild that flagging minor league system in order to better prepare for the next stage in Giants baseball. Andrew McCutchen bounced back a little in 2017 from a down 2016 with a solid line of .279/28/88 and his OPS rose 83 points to .849, so McCutchen doesn't seem to be on the downside, although those numbers aren't quite what prime McCutchen's were, they are still more than solid. McCutchen also won't be asked to play centerfield in San Francisco as he was in Pittsburgh. McCutchen's range defensively has dropped through the years and that would have been a huge factor in San Francisco with the largest centerfield to cover in the game. Pittsburgh was able to slide by with McCutchen in center for two reasons-first PNC Park is much wider in the power alley to left center, therefore, making PNC Park a rare stadium in that left field is more important as far as range goes to have a strong flychaser in left defensively than center. The Giants suffered badly defensively in center over the last two seasons with Denard Span attempting to cover ground in "Triple's Alley" and the concern was that McCutchen as well would have similar struggles. The good news there is that the Giants have no such plans to even try as McCutchen will play right field at AT&T Park with Hunter Pence moving over to left. McCutchen did play 13 games in right last year with the Pirates, but that is his only major league experience at the position. At the plate, McCutchen did cut his strikeouts last season by 27 from 2016 and seemed to be more patient at the plate as well. Cutch isn't the base stealing threat that he once was as his steal stats has decreased from 27 in 2013 to 11 last season, but he's not a clogger yet on the bases either, so I don't have any worries there. The power challenged Giants had to make something happen and even with the additions of Andrew McCutchen and Evan Longoria, the arrivals might not be enough to make a bad team good. However, it is nice to see a team take the bull by the horns and try to do something, whether it works or not. Give the Giants credit for the effort. Now, let's see if the team can do the hardest thing to do in sports-contend while rebuilding on the fly. The Andrew McCutchen trade will be covered in three posts as it involves two of the teams that we cover here. In part one, we'll talk about what the Pirates received in return and how it affects Pittsburgh for 2018. 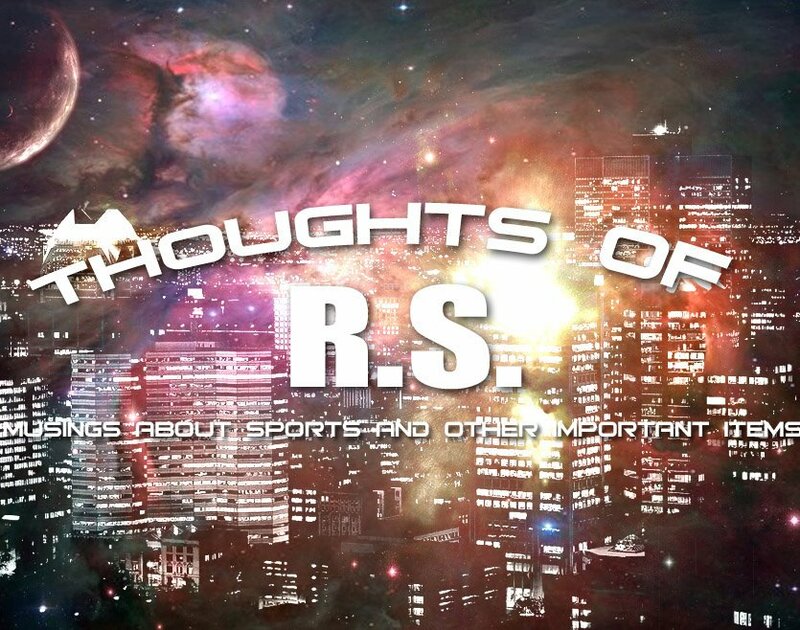 In part two, we'll look at things from the Giants perspective as they attempt to bounce back from an awful 2017 and make a short-term move before their core ages. And we'll finish with part three, where I'll write about Andrew McCutchen, the player, who grew up as a prospect into a star right alongside this blog. I hope that the reader will find it interesting. 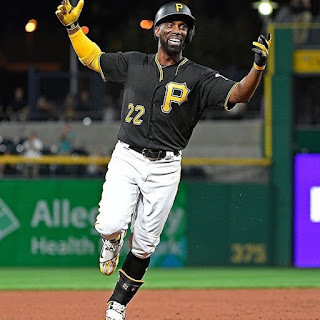 In this post, the trade that sent the longtime face of the Pirate franchise in Andrew McCutchen to the San Francisco Giants clearly ends any hope of Pirate fans of any sort of contention for the 2018 season, despite what the team was attempting to sell after the Gerrit Cole trade with the Astros. Trading McCutchen, who will be a free agent at the end of the season and will be 32 for his next contract, was thought to be a given before the end of 2018, if the Pirates were not in contention, but trading him now looks to be a salary dump of a player that had given much of himself to the franchise and the community. Now, this is where I catch a break because there might not be another pitcher that doesn't pitch in the organization's that host teams on the local circuit (Nationals and Orioles) that I have seen pitch more times than Kyle Crick in the minors in addition to his big league season last year with the Giants. The 2011 "Sandwich" pick has always had one of the better arms in the minors with an A+ fastball and combined with a live slider, Crick's appearance in Hagerstown as an Augusta Greenjacket in 2012 showed an impressive toolbox that gave me hope that the Giants had another future star in their rotation. 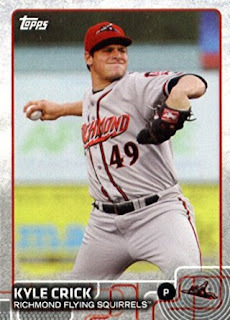 After an impressive 2013 at High A San Jose, Crick figured to be tested at the AA level in Richmond, which is where prospects often meet real adversity for the first time. Little did Crick or the Giants know that Crick would not just meet adversity in Richmond, he would buy property and make a home there as Crick would spend three full seasons with the Eastern League franchise. Crick walked a lot of batters (a lot), moved from the rotation to the bullpen back to the rotation, his numbers were worse in season three than they were in season one and both Giants fans and Eastern League followers were wondering if Crick was ever going to be able to harness his plus stuff and return to those prospect lists that he was slipping off. Rather send Crick to Richmond for yet another year, San Francisco threw up their hands, tried Crick at AAA Sacramento as a reliever and the light clicked on. Crick put up an ERA under three in 29 innings as the RiverCats setup man before becoming their closer and struck out 39 in 29 innings, but the most important number? With Crick's arm, there is no doubt that he can be an elite level closer in the league with even average command and the potential seemed to be coming into form and with the Giants suffering through an awful season, it didn't hurt any to bring Crick up to AT&T Park when Mark Melancon was injured, although he wasn't used as the closer of course. Crick's numbers were solid with the Giants as well in a pitchers park, which should bode well in Pittsburgh as well as Crick's ERA was barely over three, struck out 28 and walked 17 in 32 innings, which I thought was pretty impressive. I was figuring on (assuming that Crick continued his command improvement) seeing Crick have the first chance on being the eventual closing replacement when Mark Melancon's contract expires after 2020 (Melancon does have a player option after next year), that's how impressed (and surprised) I was with Crick's 2017 season. Here's the problem- how many times have you seen a player have command issues take a leap forward for a season and then regress? It happens more than you think and until Crick can repeat (and maybe even another season after that) can you truly feel comfortable in thinking that things are truly under "Control". 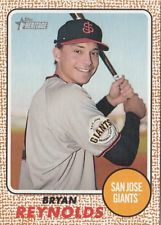 As for the other player in the trade, the Giants used their first pick in the 2016 draft (second round) on Vanderbilt outfielder Bryan Reynolds and many at the time thought that Reynolds was a steal at the point in the draft. Reynolds turns 23 next week, so for a college outfielder, Reynolds is not excessively old after spending last year at High A San Jose where he hit .312 with 10 homers and 63 RBI. Reynolds line does send some mixed signals as far as speed and power. Ten homers in the California league is nothing special, but nine triples does indicate gap power. Five steals doesn't indicate plus speed, but nine triples is a pretty impressive number, so there are some stats to think about. Reynolds also switch-hits which is always a plus, but for a player that doesn't have even average power, his 106 strikeouts (and only 37 walks) is a warning sign to me. I think Reynolds is a pretty similar prospect to Steven Duggar in the Giants system and with Duggar being one step ahead (expected to start at AAA Sacramento) in the system, the Giants likely looked at Reynolds as being the more expendable of the two, especially with Andrew McCutchen being more than likely a one year rental in the outfield. I think there are similarities between Reynolds and Jason Martin (acquired from the Astros) with Reynolds being the slightly safer bet and Martin having the slightly higher upside due to the better power potential. Reynolds should join Martin in the outfield at AA Altoona to start the 2018 season. I can understand Pirates fans being disappointed with the return. Perhaps had they waited and McCutchen hit well, they could have gotten a better return at the trade deadline, but that carries the risk of a bad year or even an injury and getting a lesser return or even no return at all, so I can understand taking the safe route now, even if it is the less than glamorous return. The problem for Pirates fans is that it comes so soon after the trade of Gerrit Cole where the team said that they were not punting the 2018 season- there is no way that one could take such a statement with any type of seriousness now. It's tough to take the Nutting ownership seriously now when they say that they want to build through youth and then when the time is right they will spend the money to take a shot to win a title. When the time was right to spend and the window was open, they refused to do so- the returns are in and Bob Nutting just is content to make his dollars from baseball. I started this post and as I did, the Pirates made another trade, but I'm going to cover that in my next post in order to give this one the coverage that it deserves. The Pittsburgh Pirates started their revamp (rebuild) with the trade of Gerrit Cole to the Houston Astros for four players, three of which are expected to make the Pirates this season. The loss of Cole seems like a bit of a risk to move him this soon after signing last week to a contract for the 2018 season for 6.75 million and would have had him for one more season in 2019, although that would have been under double figure millions most likely with possible arbitration in the wings as well. Still, Cole's numbers did dip some in 2017 after an injury-shortened 2016 and it can be argued that he only has truly only notched one elite level season, so if you are afraid of another average season that would see a similar return down the road and see Cole still earn large raises through arbitration, the argument can be made that making the move makes sense. However, if you buy in on the time being acceptable to move Cole, I still question the package coming back from the Astros. 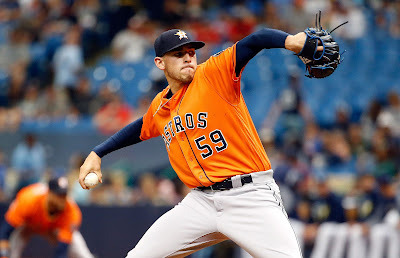 The main piece for me is 25 year old righthanded pitcher Joe Musgrove, who was tremendous in the second half of the season as a reliever for the Astros (31 strikeouts in 23 appearances and hitters hit under .200 against him), but was nothing special at all in his 15 starts in his second year in the bigs. For the season, Musgrove finished with an ERA of 4.77 but throws hard and Joe Werner (our prospect guru) says that for his money that he doesn't see that much different in his data and opinions between Musgrove and Cole period. While I remember liking what I saw from Musgrove when I saw him pitch for AA New Hampshire when Musgrove was in the Blue Jays system, that seems to be a bit of a stretch to me. The Pirates intend on installing Musgrove in the rotation, so I suppose we'll see soon enough, but still, Musgrove should at least be solid enough in PNC Park, which helps pitchers much more than Houston's Minute Maid Park. The other main player in the deal is expected to be the Pirates starting third baseman in Colin Moran. The 25-year-old former first rounder of the Marlins in 2013 will be joining his third organization and has made just 37 plate appearances in the big leagues, although Moran was hitting well in seven games last year with the Astros before a facial injury caused by fouling a ball off straight up into his eye. Moran has always hit for average through the minors but had never hit for power (10 homers had been his high) before last season when an adjustment to his swing saw Moran hit 18 homers at AAA Fresno, where he hit .308 in 79 games before his promotion to Houston. Moran is a very slow runner ( when Moran appeared in Hagerstown with Low A Greensboro, we were all struck by just how slow the then 22-year old third baseman was and we all wondered even then how long he was going to be able to play there) and he lacks range and athleticism defensively at third. I wouldn't be surprised to see Moran hit for a decent average, but do it without great power, clog lots of bases and be a defensive liability, but there is a chance that he is one of these players that has caught the latest novelty in baseball of "swing plane" and increasing the loft of his connections and could see his game change because of it. The Pirates always seem to love to add hard throwers to add to their bullpen in almost every trade that Neal Huntington makes and this one was no exception as Michael Feliz was the third player involved. Feliz, a 24-year-old hard throwing 6'4 righthander, spent the last two years in the Houston bullpen with far better numbers in 2016 than last season as Feliz posted an ERA of 5.63 in 46 appearances (48 innings). However, Feliz still notches highly in the stat number that I love most- Strikeouts Per 9 at 13.1- 70 whiffs in those 48 innings, so the gas is there even when the command isn't and therefore has been and still is the issue with Feliz. After all, there is an issue with a power arm and strikeout numbers like those or they wouldn't be giving him away, now would they? The final player in the deal is a lottery ticket in outfielder Jason Martin. The 22-year-old Martin split last season between High A Buies Creek and AA Corpus Christi and hit .278/18/66 with 16 steals at the two levels. I saw Martin a little at Frederick and the left-handed hitter came into 2017 with a 23 homer season at High A Lancaster (then the Houston High A affiliate), but the Astros felt Martin needed to at least start the season at the same level (All California league parks are hitters paradises) as Martin had struck out 108 times in 400 at-bats. Martin didn't improve much on that in 2017 (124 SO in 474 AB's) and contact is going to be the major hurdle that he'll need to get past if he is going to make the big leagues as a contributor. Martin has some speed and I could see him maybe being a backup outfielder, but he has plenty of work to do to be more than that. I would expect him to be assigned to AA Altoona, but there is a chance the Pirates could assign him to AAA Indianapolis to start the season. Honestly, I'm going to say this, I think the Pirates moved too soon on this trade. Maybe they know something I don't about Cole (maybe his arm isn't 100%?) and they wanted to get something rather than nothing later? But if that's not the case, I'm not impressed with the return. I like Joe Musgrove, but he did pitch far better from the Houston bullpen than in his 15 starts and the Pirates will be relying on his skills in the rotation. I'm not nearly as big of a fan of Colin Moran as others are, Michael Feliz has a big arm, but big arms with command problems aren't hard to find and Jason Martin is a decent prospect, but not a sure fire blue chip by any means at all. I think the Pirates could have done better by waiting or accepting offers from elsewhere (not that I really know what those would be for sure), but time will tell, which of us was correct on this one. So, a few words before we begin. I would like to thank you all for the great response for the last post- Big hit number! It's amazing what happens when Steve Kim retweets us!! I've still been lazy in getting things knocked out here and let me tell you why. I'm working more (it's winter, gotta pay for those trips!) and I am taking a medication that makes soda taste awful, so I am on no caffeine. Therefore, I'm tired very often- but I'll try harder! 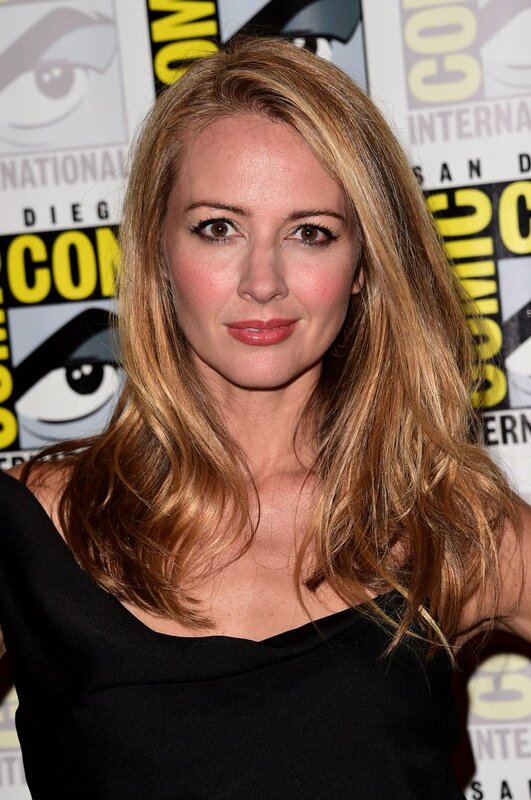 I forgot to post the PPM for the Divisional Playoff round (Sorry Amy Acker fans) and what I missed was a 1-3 week as I would have gotten only the Patriots prediction correctly. The Browns continue to clean up the front office and for the first time since the "new" Browns return, I feel really good about the people making the decisions in personnel. 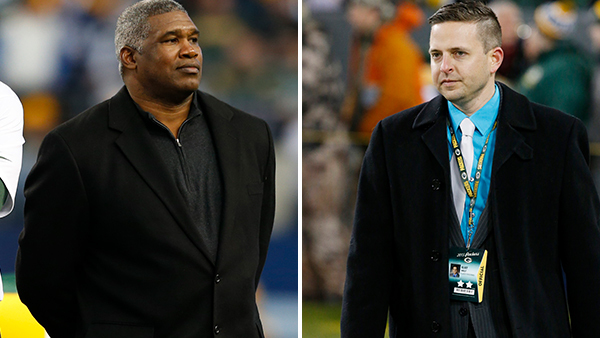 Eliot Wolf, the son of Hall of Famer Ron Wolf and the man that rebuilt the Packers, was thought to be the choice to replace Ted Thompson when Thompson was moved to team president but was surprisingly passed over in favor of Brian Gutekunst instead. Wolf might become the heir apparent in Cleveland as if the Browns get things turned around quickly, you could see a similar situation, where Dorsey moves into a bigger chair and Wolf becomes the GM for the Browns, which might be why Wolf chose Cleveland over staying with the Packers (who wanted to retain him) and Oakland, where he also interviewed. Ryan, who is my go-to person for Packer thoughts, thinks Wolf is a great hire for the Browns and wishes that the Packers had chosen him to run the Packers instead of Gutekunst. Should the turnaround happen and Wolf gets a promotion or go elsewhere, the hot prospect will be former Oiler fullback (and pro boxer), Alonzo Highsmith, who was also a big part of the Packers personnel department and hired to come to Cleveland along with Eliot Wolf. Highsmith is very well thought of in the game and between Highsmith and Wolf, the Packers personnel department have taken a sizeable hit at the hands of the Browns, who for once seem to have gone after the right people and managed to actually land them! If the Browns had only decided to remove Hue Jackson as head coach, I'd be feeling really good about the Brown organization right now, but still I'm feeling seeing positive signs in Berea for a change and it's been a while since I have said that!! Back soon with trades in Pittsburgh and that's right- I said trades-Plural!!!! Five Fights I Don't Want to See-But I Might Have To!! As I have written before, 2018 has gotten off to a slow start here at TRS. I'm uninspired and frankly, I'm not even thrilled with what I'm pumping out and how much I'm doing it-BUT tonight is a different case because I am excited about this idea because it is exactly the type of post that I love to do! Five fights in boxing between "top" fighters of various levels (as in one man's top five, may be another's top ten or even twenty) that I've considered and thought about. A parameter or two before we begin. None of these awful forced mandatories against non-entities (although mandatories against qualified contenders will be mentioned) count. It may be a fight that could happen. It may be a fight that has no chance of happening, but I think would be just painful to even think about either in the ring or out of the ring. This rematch of a fight that only the true Thurman/Garcia/Haymon believers were really excited about (I was mildly excited, but I like seeing belts get unified-sue me! ), but without the title belts involved, I'm not sure there would have been half the interest the first time around and there will be damn sure be less than half of that half for the likely soon to be mandated rematch by the WBC. 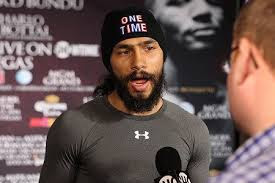 "One Time" Thurman (The Nickname isn't for the number of knockouts scored against good competition per decade or times fought per year) has always been a target of TRS as mildly overrated as his hairline wins over Shawn Porter and Garcia have shown in his biggest victories to date, while Danny Garcia was an excellent champion at 140 in fighting top fighters and besting all opponents, but at 147 has been relatively inactive, uninspiring and reluctant to face good opponents ( in six bouts at 147, only Thurman and Lamont Peterson could be considered top notch competition).. Considering that neither has fought since their first bout last March, each will be facing name fighters that are likely tune-ups for their returns (Jessie Vargas for Thurman will be a far tougher test for Thurman than the faded Zabbie winner Brandon Rios for Garcia) and despite the PBC hype, their first fight wasn't exactly Donald Curry vs Milton McCrory as two undefeated welterweight champions let alone Ray Leonard vs Thomas Hearns, so I really don't need to see this again at all, let alone this soon!! On paper, this looks like an intriguing fight. Russell has lost only to Vasyl Lomachenko (and went the distance) and Diaz is undefeated. I have always been a fan of Gary Russell's skills and on "Fightheads" I've been quoted many times as saying that I have more confidence in Gary Russell than it appears that his managers and promotional team does-I think he has/had that much potential. However, his inactivity (three fights since Dec. 2014), only one win over a fighter any type of name at all (an aging and faded Jhonny Gonzalez) and that he turns 30 in June makes me wonder if someone might have already dropped the ball on what might have been a much better career. As far as the undefeated former American Olympian Diaz goes, Golden Boy promotions has moved him along solidly, but without a real test against even top fifteen competition and his lack of pop bored me to death as the "Co-Feature" on GGG-Canelo night, I don't see Diaz being a match for Russell, assuming Russell signs for the fight. This is a fight people think they want until they get it. I understand why they want it as anytime the current heavyweight champion can meet the lineal champion it's a big deal especially when they are from the same country and the lineal champion didn't lose his titles. But it's going to stink in the ring unless Anthony Joshua flattens Tyson Fury. Because really fast- name your best Tyson Fury memory in the ring. No singing, No quotes, No grabbing the mic or rushing a future opponent-In the ring action. It's Steve Cunningham knocking him down. Because his fighting style is pretty dull with lots of leaning, mauling and other than that Fury gives you a lot of what so many out there complained about for so long about the Klitschko brothers. The buildup will be fun, there will be great quotes all over and the press conferences will be entertaining, but remember this- unless Joshua cleans out Fury, you are most likely to get this generation's version of John Ruiz-Nikolai Valuev because that is what Tyson Fury brings to the ring. Now, normally I'm shouting from the rooftops about defending titles, not ducking opponents, doing the right things etc- but there are exceptions to every rule and this is the exception. Jeff Horn needs to make as much money as he can while the iron is red hot off his win over Manny Pacquiao, Anthony Mundine would make a lot of money for Horn in Australia and Horn would likely be favored to win that fight. In addition, Terence Crawford isn't going to come to Australia to fight Jeff Horn- especially after seeing the decision in the Pacquiao-Horn fight and let's get real, put the judges aside- no matter the locale, Sydney, Brisbane, Melbourne, Kookaburra's Ol' Rum Tree- Jeff Horn isn't beating Terence Crawford, so who really wants to see this fight anyway? Erislandy Lara might be the dullest fighter in the sport not named Rigondeaux and in his division (154), the problem is that the champions are reasonably strong (Lara, Jarrett Hurd, Jermell Charlo and Sadam Ali) but the challengers are comparatively weak. The best ( as in fun and exciting) unification bout to be made would be IBF champ Hurd against WBC champ Charlo in what would be a can't miss action fight that could last one round or twelve and would leave you afraid to leave your seat! And with both fighters being with Al Haymon/PBC/Showtime, a Hurd/Charlo fight should be very easy to make and have a fight of the year and/or knockout of the year possibilities, so what's not to like? Well, it's boxing and it's PBC, so instead of a guaranteed thriller to unify two belts, we get two belts unified, but it's Hurd and the tedious Lara, which will almost surely be twelve rounds of stick and move as the slick Lara takes the promising, but still learning Hurd to school. Hope you enjoyed this piece. If you are interested in booking me for your boxing show, drop me a line on Twitter, I'm sure we can work something out! Parade or Protest? Right or Wrong? I've been back and forth on the parade held in front of Cleveland Browns Stadium yesterday, but here are my thoughts on it. 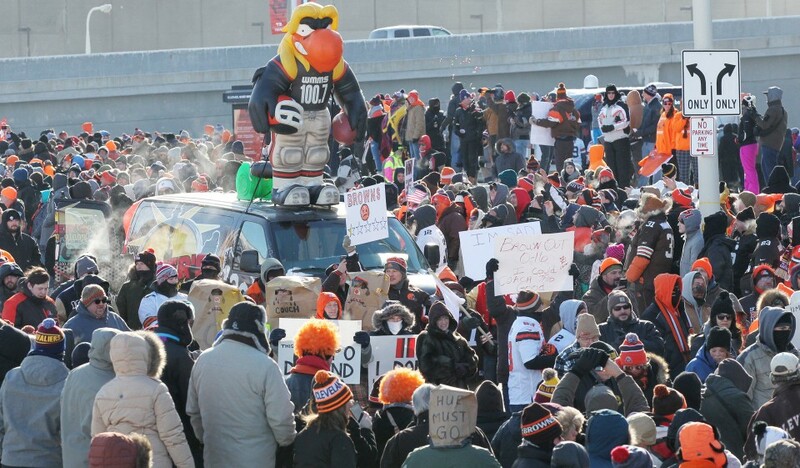 I think had it been portrayed as more of a protest of the Haslam family's awful ownership record ( and awful is being very lenient on my part), it might have been taken better by casual observers (Read non-Cleveland media/fans) and might not have been taken for the clown show that it became. I suffer plenty of it myself, but instead of it coming off as an angry fan base with an Howard Beale style "We're mad as hell and we're not going to take it anymore " harangue, it came across more as a fan base that found the whole thing funny- which was the last thing that anyone found amusing, but if you didn't know Browns fans, that's what you would think. Here's an example- I was at work on parade day and they were mentioning on CNN and two of my least favorite people on the network were laughing at the Browns and the town. Dave Briggs, a special type who has been so good at his job that he has been employed by all three cable news networks, offered that the Browns have no hope no matter what they do so they might as well celebrate something, even 0-16. Coy Wire, a former player that generally annoys did raise one good point in mentioning that the fan base draws nice crowds in Cleveland to such events to show they care before then ruining it by saying that it's nice to see Browns taking things well with good humor etc. That's not the message that should have been sent and not the message that I hope was intended. The fanbase seemed pretty split on the parade. Some seemed to think it was harmless enough, others thought it needed to be harder on the Haslams and still, others thought it made the city a punch line yet again to the national media. On social media, a few of the Browns players weren't very happy as Emanuel Ogbah, Christian Kirksey and Danny Shelton all offered tweets criticizing the parade. I didn't really blame those players for having such a reaction. They tried hard all season and I don't think the fans really blamed the players for this mess, well except for the departed Kenny Britt, his lack of effort was received about as well by Browns supporters as Britt received many of DeShone Kizer's passes. The Cleveland Food Bank profited and that's always a good thing, so something good came out of this mess, but it didn't reflect well on the fanbase and the city on the overall. It did show passion, but it also seemed a bit goofy and more than a bit of a vanity project for its organizer, who seemed to be originally well intended and then became a parody of itself and overwhelmed its original intent. In the end, I wasn't really a fan, but it could have been far worse.. I've been really uninspired of late. Post-football comedown, next to no baseball news, no Devils games since my Devils buddy has lost interest without her hero and just not a lot to write about. I might be writing soon about the Browns season or maybe not because I might just like to forget it and I may or may not write about this ridiculous parade around the stadium to 'celebrate' 0-16, which people are mistaking as a celebration instead of what it should be- a protest against the futility of the Haslam ownership. The Browns will have plenty to choose from as this looks to be one of the best quarterback crops in years, although as always there are questions. Plenty of underclassmen have declared with 2016 Heisman winner Lamar Jackson of Louisville joining Sam Darnold of USC and UCLA's Josh Rosen from the youngsters and the 2017 Heisman winner Baker Mayfield of Oklahoma, Mason Rudolph of Oklahoma State and early graduate Josh Allen of Wyoming from the sheepskin crew. It's not out of the realm of possibility that all six of those passers could go in the first round and the Browns picking first and fourth will have the pick of the bunch or at least grab one of the better ones along with another top player. It's odd that observers,fans and followers each seem to have already latched on to favorites even before combines, all-star games and all the film that needs to be broken down. I like some more than others at this point, but still, have much more to line up to truly feel comfortable with a final decision. 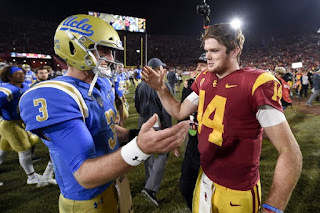 As of now, I like Sam Darnold the best, but he needs to have some time to develop. I think if he is given that time, he is going to have a really good career. Darnold reminds me a lot of Brett Favre and that would go a long way with me and the Browns. Josh Rosen throws a beautiful pass, but he seems to have some issues off the field with the importance of football in his life and doesn't really seem to want to play in Cleveland, although I could more than understand that. Josh Allen has all the tools, but for every Carson Wentz that pulls off the jump against small competition, so many players fail despite the talent. so I do wonder about Allen and especially his accuracy, which makes me think of DeShone Kizer and that's not good. Baker Mayfield has his good points, but something makes me leery and needs to be picked by a good culture teams that would be willing to teach the right way to him in a low-pressure environment. If Mayfield is picked by a team that expects him to step right and lead, he could become an issue right away off the field. I liked DeShaun Watson last year more than I like Lamar Jackson this year, but Jackson could be very interesting in the right offense. Mason Rudolph looks the part and someone will take a shot, especially if he looks good in the Senior Bowl, which looks loaded with talent this year and is a must watch for draft watchers this year. I might be back later with a few words on this "parade" today in Cleveland..
Time for a long overdue inbox cleaning and just in time to kick off 2018 in style! We start with two different articles on Charles G "Lefty" Driesell, who deserves to be, yet isn't in the basketball hall of fame. Driesell, who built my love of college basketball as a child during his years as the head coach at Maryland as one of the two coaches that made me a true fan of the college basketball game (the other was as a small child when my dad would take me to Ashland College games when the Eagles were coached by the late Bill Musselman) is the only coach to win 100 games at four different schools (Davidson, Maryland, James Madison and Georgia State) and revitalized all four programs. The HOF is a joke without including Driesell. SI. 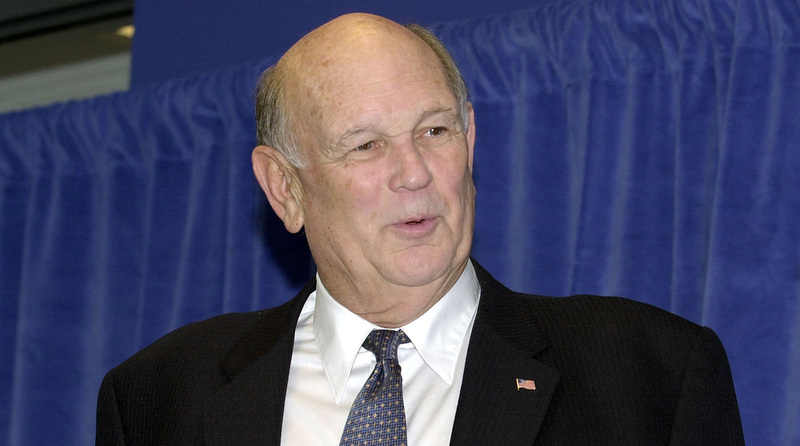 com writes of Driesell here and the Athletic discusses his case in this spot. Eleven Warriors took a terrific look back at the Ohio State career of the recently injured Ryan Shazier of the Pittsburgh Steelers. Shazier was always one of my favorite Buckeyes and despite his playing for the Steelers, he remained one of my favorite players, so I was disappointed and saddened with his recent neck injury which at minimum is endangering his career and may be ending it. A month after the trade that sent Rachel's hero Adam Henrique away from the New Jersey Devils (Rachel has not watched a game since), it's still hard for Rachel to handle. It's always hard to handle when the reason that you first enjoy a sport gets traded away, so I feel her for her. I hope she turns it around soon because I miss watching the games with her and the Devils are playing well as the surprise of the early portion of the NHL season. All about the Jersey writes about the legacy of Adam Henrique in New Jersey with the Devils. SI.com writes about the "new " Sergey Kovalev who has supposedly made changes to his life outside the ring that included going to a monastery, drinking more water and changes after a near-death experience. As both a long time boxing fan and a Kovalev fan, I'm still dubious because you hear this type of stuff in boxing all the time, but I do hope Kovalev has made these changes and can make them stick. He's an excellent fighter and I'd like to see him keep his affairs in order in and out of the ring. The Ringer writes of life after ESPN as they look at a few of the people that have taken different paths since being released in the great ESPN layoff in April 2017. A few of the people spoken were baseball writer Jayson Stark, anchor Jaymee Sire and morning host Jay Crawford among others. We wrap up with 13th Dimension's selections for the top 13 MEGO action figures of the 1970's. As a child of the 70's,I did have some of these of course. I won't ruin the order of these for you, but for the record of their 13 best, I owned 9 of the 13. To this day, it was a sign of a much simpler time that you had a company that had a contract with DC and Marvel with advertising that used BOTH companies characters in the same commercials!!! Consider the inbox cleaned for now. 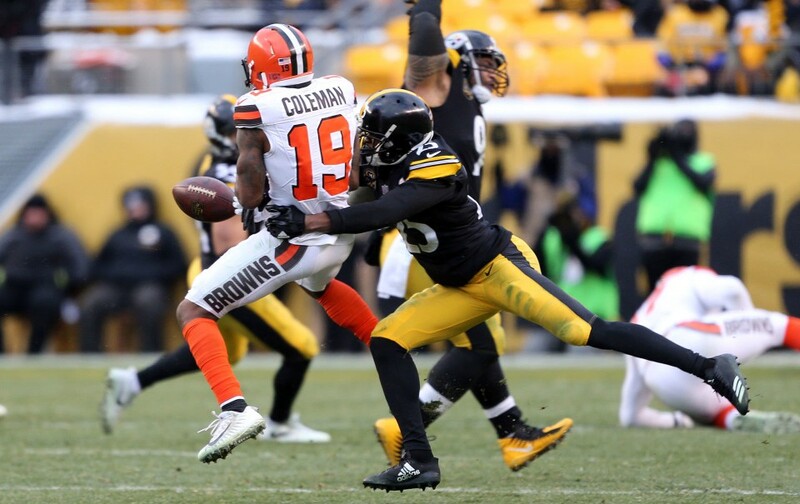 The Cleveland Browns looked to have a chance to avoid the scar of 0-16 as the Browns reached the Pittsburgh Steelers 27 yard line for a 4th and two with under two minutes to play. DeShone Kizer made a great play avoiding the Steeler rush and had an opening that he may have been able to run for the first down through, but quarterbacks aren't paid to run, they are paid to throw and Kizer did just that to Corey Coleman, who was wide open and the ball was thrown right to him. Or should I say-right through him as in right through his hands ending the hopes of the Browns and sending Cleveland to 0-16 with a 28-24 loss to the Steelers. DeShone Kizer threw for 314 yards and two touchdowns, one of those to Josh Gordon, who finished with over 100 receiving yards on the day. 1) Corey Coleman was reported to be distraught in the locker room as he sat by his locker in uniform for 40 minutes with his head in his hands and it was "good" I guess to see that he cared that much. 2) DeShone Kizer played pretty well, I thought with the exception of the one bad pass in the fourth quarter that was his only interception of the day. It's funny for the rookie from Notre Dame that his first game against the Steelers and his last game against the Steelers were among his better games in the debut season. It was the games in between that were much of the problem. 3) The Browns also hopefully saw another highlight of some future stardom as Myles Garrett shed a block, stripped Landry Jones of the football and allowed Caleb Brantley to pluck the ball from mid-air. Garrett finished the season with seven sacks and never seemed to be truly playing at full tilt. Next year, Myles Garrett is going to show this league exactly what he is really all about. 4) Jabrill Peppers made his first interception as a pro in the first half. I've been less than impressed with Peppers this season, although as a safety, that may be more due to Gregg Williams playing him out of position than his talents (at least I hope anyway or he is going to be a real bust), but Peppers has been a real disappointment returning punts. For a player drafted with "Electric ball skills", Peppers spent more time calling for fair catches than trying to break big plays. 5) Looks like the Steelers have another good one in Ju-Ju Smith-Schuster, who returned a kickoff for a score and caught nine passes for 143 yards and another touchdown. Why don't the Browns find these guys and the Steelers find the Smith-Schuster's (round two) and the Antonio Brown (Late Rounder) types? Because the Steelers look for tough guys that can make the tough catches and play with a chip on their shoulder and the Browns like these diva types. Until the Browns start getting some guys into town that don't mind getting dirty and playing dirty when they have to, things won't change. John Dorsey has to see this. 6) It was nice to see Rashard Higgins grab his first two pro touchdown passes in the game, one of them a 56 yard score. Higgins has always been the receiver out of the 2016 draft class that I have thought could be of value even if it's just as a third receiver over time given a chance. I've always liked Higgins (and not just because he's the only Brown that follows me on Twitter) and I think as the Browns add talent at receiver, Higgins could be more productive in a role as third or fourth receiver. 7) I'll be writing later in the week with a season in review and I have a podcast in the works with Scott Dryden on the season, but the big story is the unbelievable return of Hue Jackson. Going 1-31 in two years and 0-16 this season and coming back in just beyond stupid and will set this team back. John Dorsey deserves the chance to hire his coach and this is how I see this playing out-anything short of a 3-3 first six games, will see Hue Jackson either fired or resigned and the 2018 season wasted. Jimmy Haslam continues to set this franchise back time and time again. 8) I admit two years that I thought Hue Jackson was a good hire and I will also say that if I had to choose which to keep between Sashi Brown and Hue Jackson, I would have chosen Hue Jackson. All of that on the table- any normal franchise would remove Hue Jackson and I believe that it still could happen despite Jimmy Haslam's press conference after the game in Pittsburgh to the contrary. I don't think it's likely that Jackson would go, but the Browns are even more of a laughing stock than normal anyway and keeping Jackson is a HUGE smack in the face to a fan base that needs to be massaged more than slapped. There is a slim chance that with enough uproar Haslam's mind could be changed. 9) As far as this stupid parade goes, I'd like to see the whole thing canceled. It started as an idea to give money to the Cleveland food bank, let's just give them the money and not draw any more attention to this disaster than there has to be. It makes Browns fans look bad and makes light of a bad situation. 10) The Browns will have four of the first 35 picks in the draft as they hold the Texans first and second picks. The injury to DeShaun Watson sent the Houston season down the drain and for once the Browns caught a break. The Browns will have the first and fourth picks in round one and the first (33rd ) and third (35th) picks in the second round.